Special alert over in Coco's bookish corner! This week we have an author interview! Coco: Can you tell us a little bit about your writing process? Generally, how and where do you get your inspiration for your books? DA: This is going to be not at all helpful: I sit down and write. Sometimes I work things out a little ahead of where I am; sometimes I just go with the characters. Then I rewrite. And rewrite. I get my ideas mostly from staring into space. If I stare for long enough, ideas will come just so I can get something to eat. Coco: Are any of your characters drawn from real life relationships? And who, (if anyone) do you think you would most relate to/want to hang out with if your characters were real? DA: I don’t model characters on people I know, although aspects characters I remember from way back do turn up. Who would I hang out with? Derry, of course, although I’d probably fall madly in love with her and she’d have to be tactful. Bella would be too dangerous. There’d be every chance more or less any night out could end up in a police cell or a riot. Bruce, definitely handy to have around if the bailiffs came to call or a nightclub bouncer got tetchy. The answer has to be Jacko. I’d be guaranteed to meet interesting people, though I doubt I’d remember much about it in the morning. Coco: When you aren't writing, who are you reading? And more specifically, was there one book from childhood that sticks out as drawing you into the literary world? DA: I don’t read fiction when I’m writing, though I eat non-fiction. When I was about eight, my grandfather gave me a complete works of Dickens. I was way too young, but I read them all anyway. Magic. Coco: If you weren't a writer, what profession could you see yourself in (excluding being a generally sensible psychologist!). DA: I’m an archaeology nut. Definitely missed my vocation. Even now, I pine for rain-drenched days in the bottom of a muddy trench. Too late. Coco: And now for one silly one! If you were a time traveler, what time period would you chose and why? DA: Now, no question about it. I’m still surprised to have lived so long without being drafted into somebody’s army or being hung for stealing a sheep. In this part of the world, we don’t realise how lucky we are. Coco: What time period inspires you the most? Thanks David for the interview, I'm looking forward to many more of Derry's mysteries! 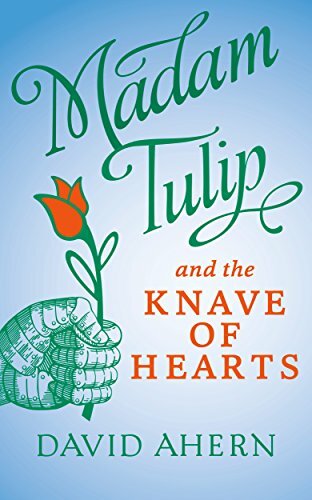 If you have missed the reviews for the three currently published Madam Tulip books, check them out here! 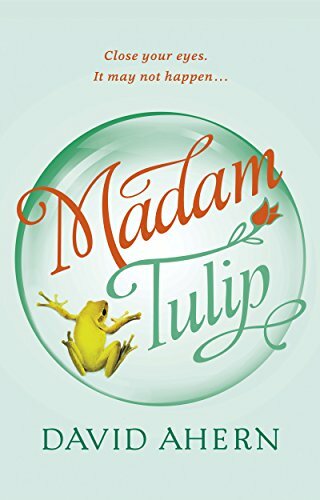 So after I read and reviewed Madam Tulip book 1, David Ahern graciously sent over the second in the series for review! Derry O'Donnell is back! After her play is shut down, indefinitely, due to structural damage at the theater (namely the roof caving in), Derry finds herself out of work once again. 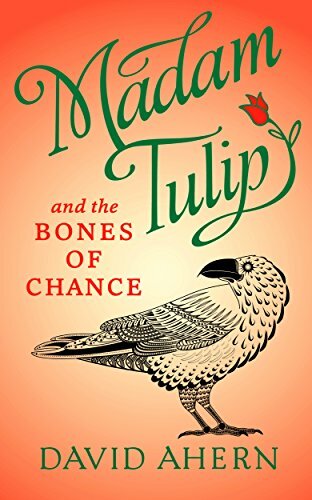 Her old acquaintance, Marlena offers her a gig reading fortunes as her alter-ego Madam Tulip for a weekend at a friends engagement party. Unable to pass up the lucrative paycheck, and promises of donations to the theater for repairs, Derry agrees. Of course things don't go as planned (when do they in a mystery novel?) and mysterious body parts are mailed to the estate. Derry finds herself entangled in an unsettling tale of buried family secrets, deceit, and deception. Once, again a very good read from David Ahern. The second book in the Madam Tulip franchise follows much the same recipe as the first. Derry is plagued with visions and dreams which turn out to be foreshadowing of events to transpire throughout the novel. Her trusty BFF Bruce is back as her sidekick (love that guy) and there are plenty of humorous antics between her parents Vanessa and Jacko. As with any good mystery there were many surprises as the story progressed, namely the ending (once you read the book you'll know what I mean!). The book was a tad slow starting off but picked up much more around the halfway mark. Overall a fun read and one I would definitely recommend to you guys! The book is out now and available on Amazon! Make sure to come back next week for an all new book review!